Tonight I'm travelling back to London after a weekend at my Mums, so I shall be on the train somewhere between Ludlow and Newport by the time this posts! I've sorted out all my summer clothes to bring back with me to either ebay off so I can buy new clothes or supplement my already overloaded wardrobe. I'm off on Holiday in 6 or so weeks so I need to start planning what I'm going to be taking, As well at hitting the gym a bit harder! In the aim I might get somewhere near my beach body dream this year! Im off to Turkey with my family like I do ever year, but we are actually going to a different Hotel for a change rather than the one we normally go to. So it will be interesting to see how it compares to the usual one! I went to the May Fair with my little brothers (one loved it, the other wasn't so sure) and this morning I went shopping with my Mum on one of out usual Sunday Primark Pilgramages! It's been a really nice time back at my Mum's. I know I was putting off coming home for ages but it is genuinely nice to be back in the countryside again! Even if it is eerily quiet! Last chance to enter my Zara Messenger Bag giveaway as the giveaway ends TONIGHT. If you tweet about the giveaway and add it to the Rafflecopter form you get a extra entry just for today. I'll sort the winner out tomorrow and post it on here! Your so pretty, id love to go to Turkey! 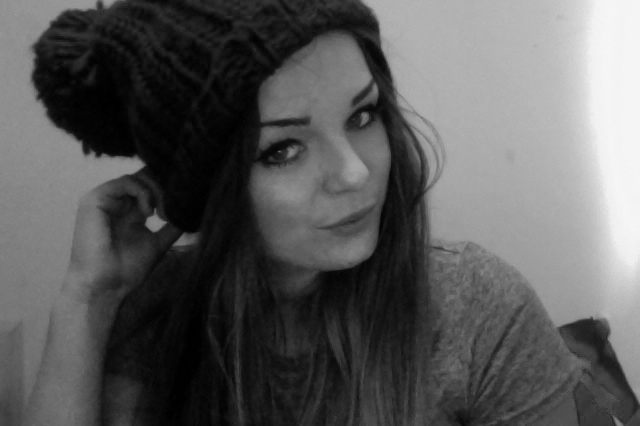 I love the hat, sad that we're still in wooly hats in May though! You look so cute in your hat! Beautiful as always! I know what you mean, where I live is so eerily quiet and when I lived away from home for Uni it took a bit of getting used to. There was a pedestrian crossing right by my house that soon became the bane of my life with it's constant beeping! It's weird how you get used to the quiet, then move away and get used to the noise. Cute look, I can't imagine being able to wear a hat like that in May here in Pennsylvania. I am looking at holidays in Turkey too this year but not sure where abouts to go? Can you recommend anywhere? Hey Lily! I discovered your blog and i really love it ! Glad to hear you're having a good time at your mum's home. I would LOVE to go to Turkey in the summer! I bet it's beautiful.